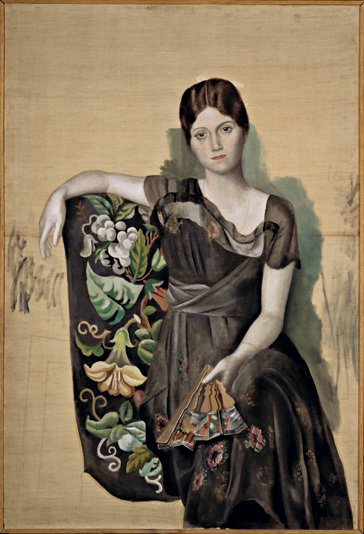 Many years ago, back when I used to pass through Paris frequently, I had a wonderful visit to the Musée Picasso. Growing up in New York, I had seen more than my share of Picasso’s work, at the Museum of Modern Art. But the chronological selection of his paintings and sculpture at Musée Picasso was a revelation, providing a seemingly comprehensive, wide-ranging selection. I imagined I would be back soon. Alas, over 25 years later, I’ve never returned. The Picasso museum is in the midst of a three-year closure for renovation, thanks to which part of its collection has come to Seattle for an exhibition that opened last week at the Seattle Art Museum. We received invitations to a series of opening events, all of which we had missed until last night, when we went to a showing for members in some category or another. I was surprised by how crowded it was. We will need to return, preferably at some low-attendance time, if there is one. As much as I enjoyed the show, it could hardly be a second revelation. For one, there is only a small fraction of the works I saw in Paris years ago. For another, my long ago visit to the Musée Picasso was on a quiet weekday morning. I could go wherever I wanted, linger as long as I wished, view paintings alone, follow the chronological path and double back as often as I pleased. The Seattle exhibition is again chronological, but everything was so crowded. And then there was the curse of the audio tour. Wherever a painting was marked with a tour number, crowds would form. The problem is that people stay put for however long the audio remarks take, even if the work itself is no longer being discussed. And the auditors tend to cluster in a respectful semi-circle with a large radius, so no one can get close without getting in their way. It’s inevitable. Put on a headset and you end up doing the same thing. The remarks were often quite informative, with our own local boy made good, Chuck Close, serving as guest commentator. Who wouldn’t want to hear Close on Picasso? But if instead of listening you wanted to look, it could be frustrating. We’ll simply need to go back, this time sans audio tour and preferably sans people.